We know that the AP article “BLM to sterilize wild horses for first time to slow growth” reporting on the BLM’s path to sterilize wild horses on public lands is as sickening to supporters as it is to us. While the article did not reveal specific plans, we know the BLM’s Burns District in Oregon is trying to move forward with its misguided Mare Sterilization Research at Oregon’s Wild Horse Corral Facility in Hines in cooperation with Oregon State University (OSU). Contact OSU and tell them it’s not too late to do the right thing and not to assist the BLM with its grotesque research because wild horses on public lands are not overpopulated. Through the Freedom of Information Act, we obtained disconcerting documents about the research project. BLM proposed that OSU perform three types of mare sterilization: 1.Bilateral ovariectomy via colpotomy; 2. Bilateral tubal ligation and 3. Bilateral laser ablation of the oviduct papilla using a scope. OSU says that types 2 and 3 are "minimally invasive." 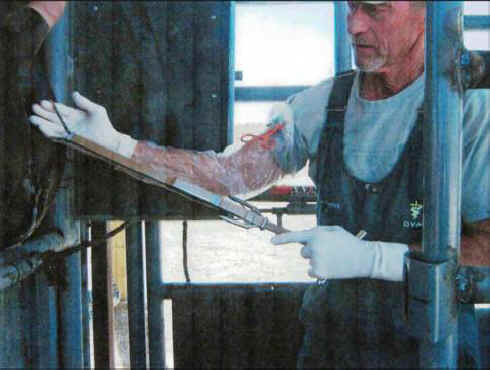 OSU provided two reports regarding the research, but all of the information regarding how any of the surgeries would be performed, potential adverse impacts on the animals, and even measures to be used to minimize pain/distress to the animals is redacted. Even the Cattleman's Association commented that ovarectomy via colpotomy is inhumane. OSU’s “research” is funded by federal taxpayers and we have a right to review what is being done. We plan to send a FOIA request to BLM to push them to disclose the redactions. Equine veterinarians warn against spaying of mares because removal of the ovaries tends to be painful and there can be scary complications, such as bleeding from the ovarian artery, which can be difficult to control. .” Other complications include: “post operative myopathy/neuropathy, wound infections, wound rupture, protrusion of the contents of the abdomen, vaginal adhesions, a potentially fatal inflammation of the abdominal lining, wound infections, post-operative pain, hemorrhage, anorexia, depression, and death.